After listening to every podcast and poring over each new docu-series, there comes a time when True Crime buffs struggle to find a new story that piques their interest. Though in the True Crime world non-fiction is king, these fictional audiobooks of dastardly crimes, chilling characters, and shocking twists are sure to fill the void…at least, until the latest episode of Dateline. Death is no stranger to Detective Chief Superintendent Frankie Sheehan, but she isn’t the only one from her small, coastal suburb to be intimately acquainted with it. Seán Hennessey shocked the tight-knit community when he was convicted of the brutal murder of his parents and attempted slaying of his sister. Years later, Seán is being released from prison—but when his newfound freedom coincides with the discovery of two bodies, the alleged connection between the cases only serves to pull Frankie further from answers even as it draws her closer to her town’s hidden darkness. Frankie will need all of her resources if she is not only to catch a killer, but put to rest what really happened all those years ago. Korede is bitter. How could she not be? Her sister, Ayoola, is many things: the favorite child, the beautiful one…and possibly sociopathic. And now Ayoola’s third boyfriend in a row is dead. As for Korede, she has long been in love with a kind, handsome doctor at the hospital where she works. But when he asks Korede for Ayoola’s phone number, she must finally reckon with what her sister has become and how far she’s willing to go to protect her. Talk show host Matthew Miller has made his fame by shining a spotlight on the most unlikely and bizarre secrets of society, exposing them on live television in front of millions of gawking viewers. However, the man behind The Mattie M Show remains a mystery. When high school students responsible for a mass shooting are found to be devoted fans, Mattie is thrust into the glare of public scrutiny. Soon, the secrets of Mattie’s past as a brilliant young politician in a crime-ridden New York City begin to push their way to the surface. This audiobook explores an enigmatic man’s downfall, through the perspectives of two spectators (and read by two narrators)—Cel, Mattie’s skeptical publicist, and Semi, the disillusioned lover from his past. Rafael Zhettah relishes the simplicity and freedom of his life. He is the owner and head chef of a promising Houston restaurant, and a bachelor content with having few attachments that ground him. When he finds Tieresse—billionaire, philanthropist, sophisticate, bombshell—sitting at one of his tables, he also finds his soul mate. And just as fast, everything is taken away: Tieresse is brutally murdered in their home and Rafael is convicted of the crime and sentenced to die. Now, after recapturing his freedom, he will stop at nothing to deliver justice to those who stole everything from him. A woman is found locked in a basement, barely alive, unidentifiable: the woman can’t speak, there are no missing persons reports that match her profile, and the confused, elderly man who owns the house claims he has never seen her before. As the police grow desperate for a lead, Detective Inspector Adam Fawley stumbles across a breakthrough, a link to a case he worked years before about another young woman and child gone missing, never solved. 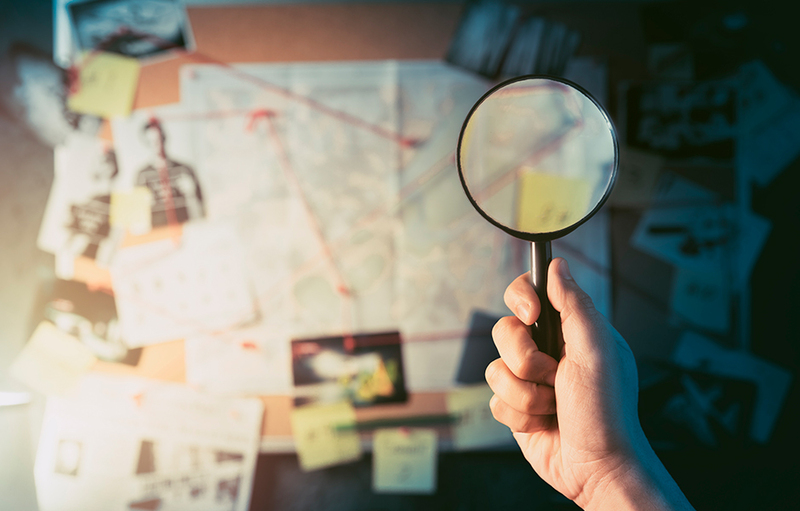 When he realizes the missing woman’s house is directly adjacent to the house in this case, he thinks he might have found the connection that could bring justice. But there’s something not quite right, and the truth will send shockwaves through the force that Fawley never could have anticipated. Allie Garvey is heading home to the funeral of a childhood friend. Allie is not only grief-stricken, she’s full of dread. Twenty years earlier, a horrific incident shattered the lives of five teenagers, including Allie. Drinking and partying in the woods, they played a dangerous prank that went tragically wrong. The teenagers kept what happened a secret, believing that getting caught would be the worst thing that could happen. But time has taught Allie otherwise. Not getting caught was far worse. Now, Allie stands on the precipice of losing everything. She’s ready for a reckoning, determined to learn how the prank went so horribly wrong. She digs to unearth the truth, but reaches a shocking conclusion that she never saw coming–and neither will the listener. Most of us have never heard of Israel Keyes. But he is one of the most ambitious, meticulous serial killers of modern time. The FBI considered his behavior unprecedented. Described by a prosecutor as “a force of pure evil,” he was a predator who struck all over the United States. Learn more about Keyes’s crimes in this gripping tour de force of investigative journalism, on sale July 2, 2019.